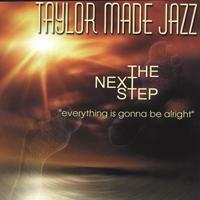 Taylor Made Jazz, musicians and world class entertainers, have a dynamic approach and smooth style which has made them a hit to the various audiences they entertain. Taylor Made Jazz, an international award winning R&B Jazz Band has traveled the world entertaining audiences from their hometown, Buffalo, the Caribbean, the Middle East, and many countries in Europe. They have won many awards including, top R&B awards, presented by Nite Life Magazine, the Buffalo Music Awards Committee and the International Diamond Accord Award. They are members of the American Federation of Musicians and are noted for their workshops with children in schools and Embassies as well as various charities worldwide.